There are certain styles we automatically ascribe to the French: Breton stripes, culottes, le smoking… But with a little digging on the Instagram accounts of your favourite Parisian style stars, it becomes obvious that the French also have a thing for red and blue. Whatever the reason (the colours do fly on the French flag), this classic combination is a favourite across the board. Chic French women find plenty of ways to make a look their own, but in the end, they always fall back on the tried-and-true pairing. On Kenza Sadoun: Emanuel Ungaro pants and top. 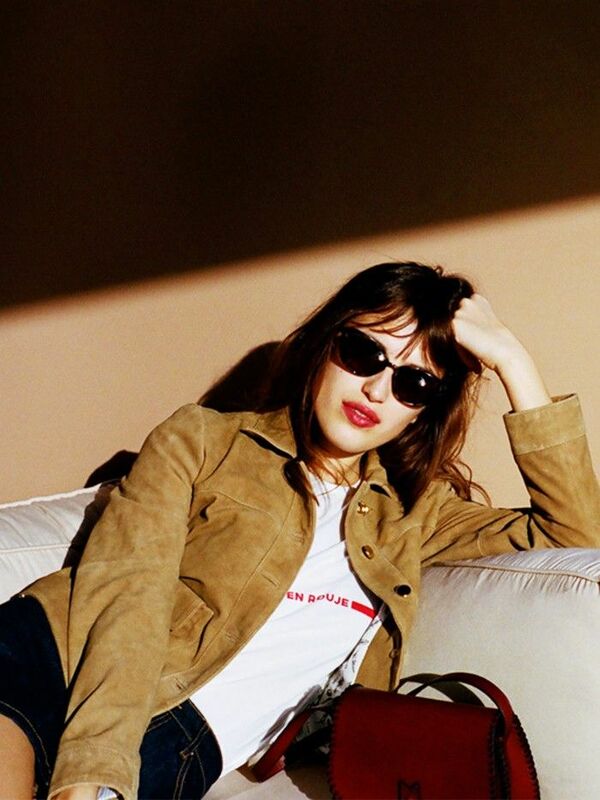 On Jeanne Damas: Rouge Paris Yasmine Blouse (£94). On Caroline de Maigret: Karen Millen pants and top. On Camille Charrière: Mads Nørgaard top; Ganni blazer; Levi's jeans; Dorateymur boots. On Clémentine Desseaux: H&M top. On Adénorah: Sézane Marla Shirt (£70); A.P.C. skirt; M Missoni bag. 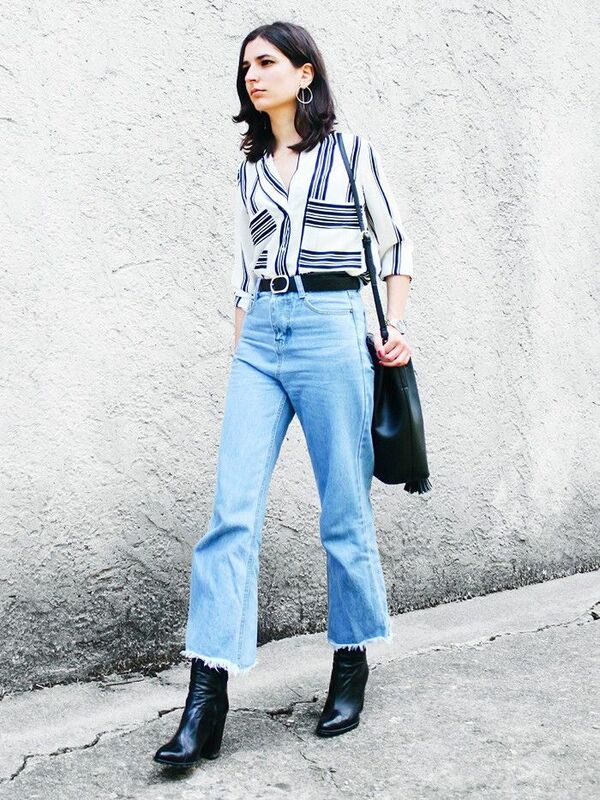 On Adeline Rapon: Saint James top; Levi's jeans; Jonak Paris boots; Jerome Dreyfuss bag. Simple flats to perfectly match a simple red dress. This fun and flirty top is ideal for a night on the town. Add a red silk neckerchief, et voilá! These punchy shorts are easy to take from day to night. Wear these sweet suede heels with a colorful gingham or white dress with a red lip. A great striped tee works equally well with jeans or a fancy skirt. Swap true-blue jeans for a bold red pair instead. Carry your must-haves in this bright tote. This striped tank is the ultimate style statement for summer. You'll never lose sight of your bag if you wear this colorful red crossbody. Wear this striped skirt to work with a button-down, or pair it with a tank when you head out to happy hour. Want more style ideas from our favorite French style setters? This is the one accessory Parisian women never wear.